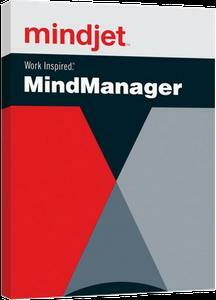 MindManager's flexible mind maps promote creative thinking and quick organization of ideas. Mind mapping fosters a free flow of ideas which can be used to brainstorm solutions, develop business plans and strategies. It's also the perfect tool for planning meetings & events and taking notes. The all-new MindManager 2017 is here and its now the most integrated mapping solution in the world. With new universal file export, you can now share your MindManager content with anyone on any platform, exporting your best ideas, plans and notes to 700+ web apps. MindManager’s flexible mind maps promote creative thinking and quick organization of ideas. Mind mapping fosters a free flow of ideas which can be used to brainstorm solutions, develop business plans and strategies. It’s also the perfect tool for planning meetings & events and taking notes.